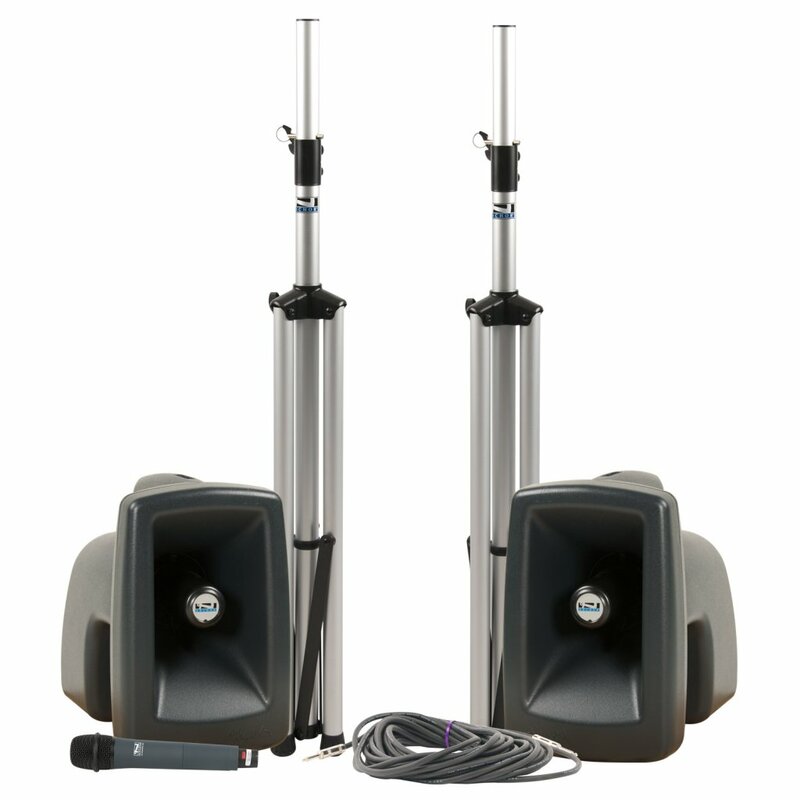 Cables can snare. 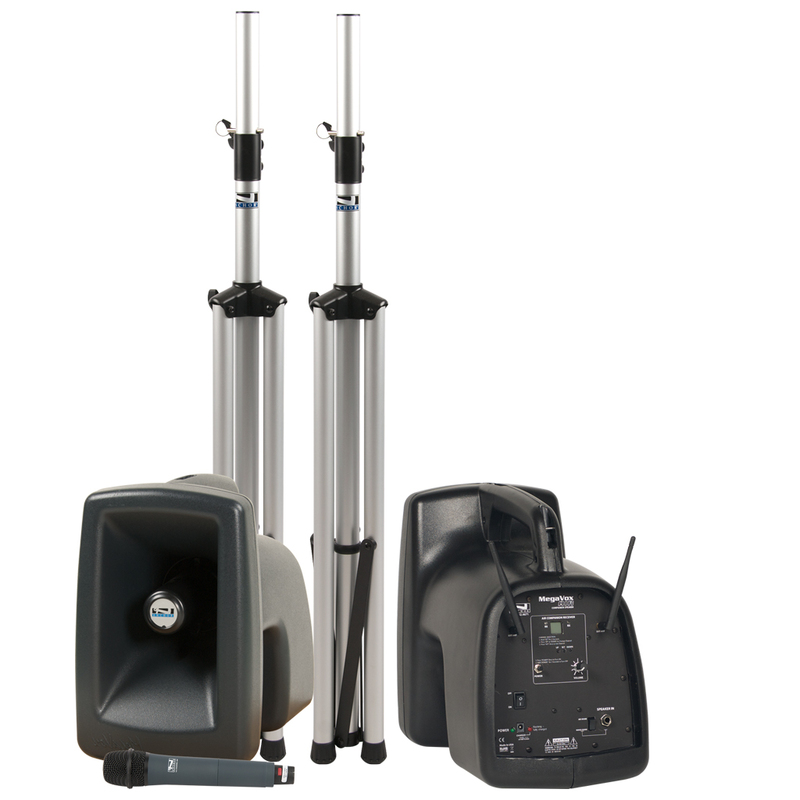 Upgrade to the AIR! 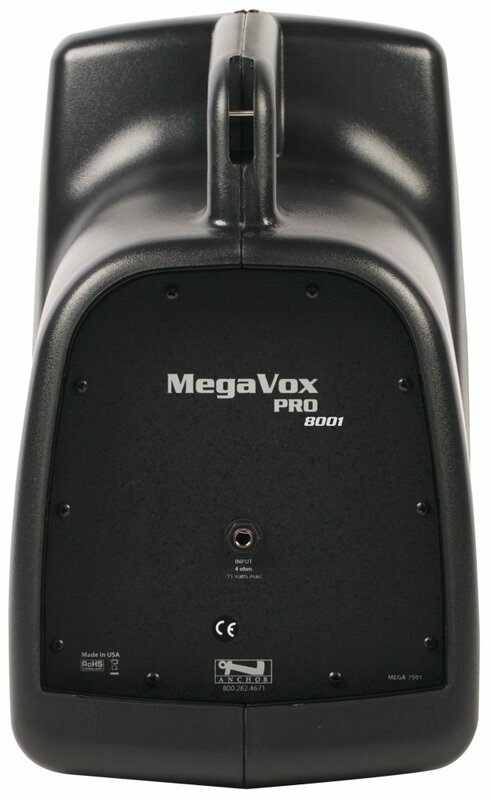 The MegaVox Pro is considered the industry standard portable PA system on the market. 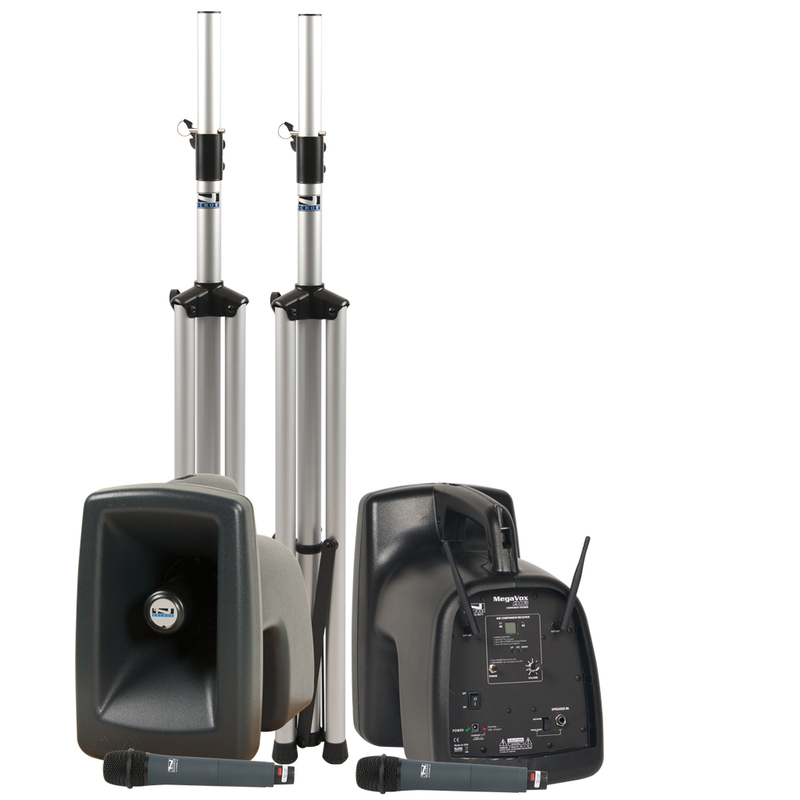 Now with complete wireless capability, take your MegaVox and MegaVox AIR anywhere for double the sound coverage without the hassle of running cables between units. 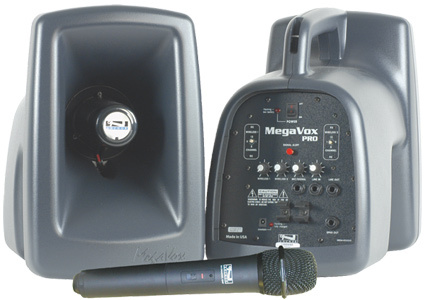 Use the MegaVox outdoors for speaking engagements, announcements, band practice, track meets, emergency preparedness, auctions, shooting ranges, military trainings, and more! 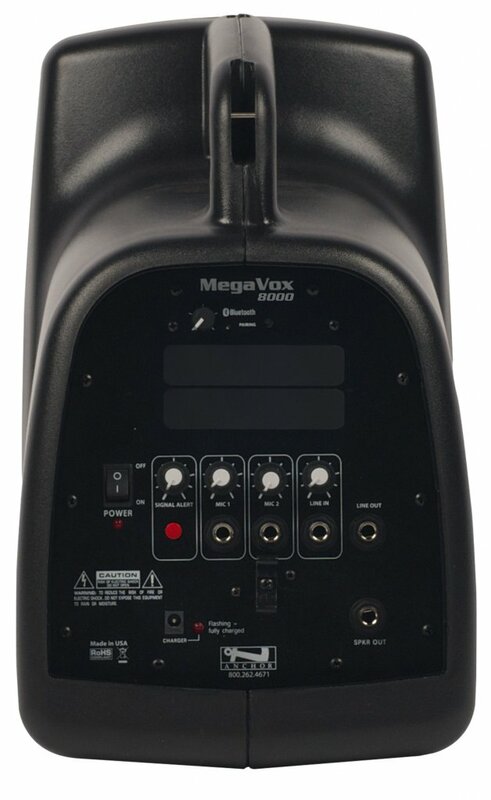 Firemen, policemen, coaches, FBI agents, Marine drill sergeants, and auctioneers all choose the MegaVox Pro. 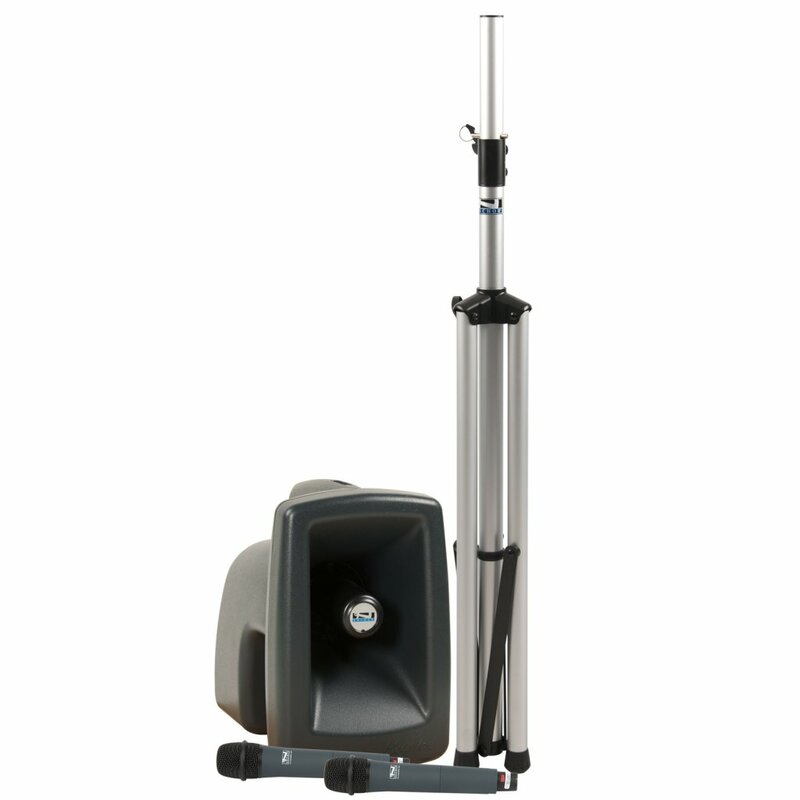 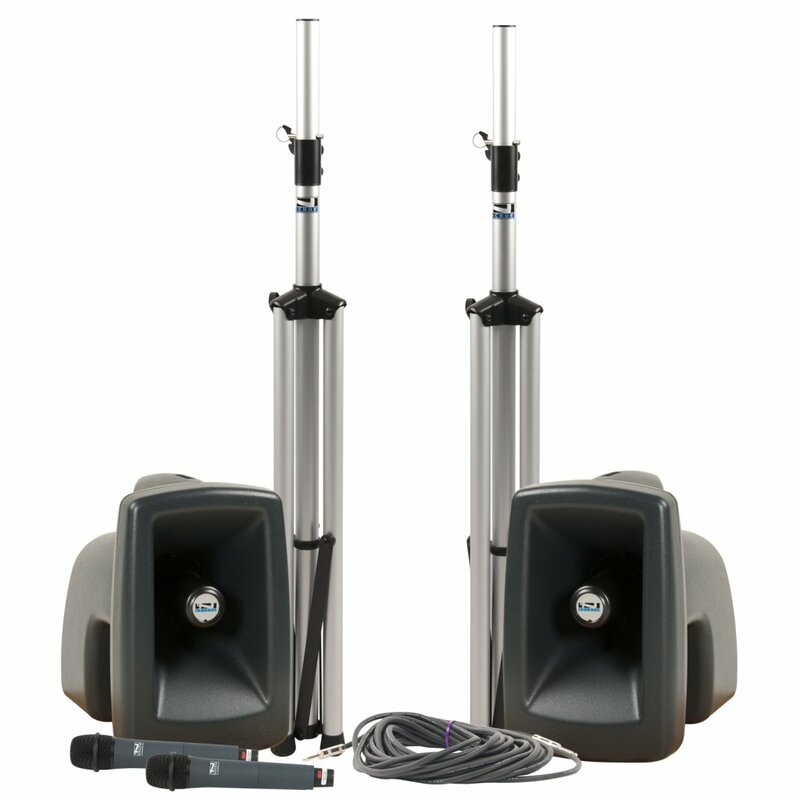 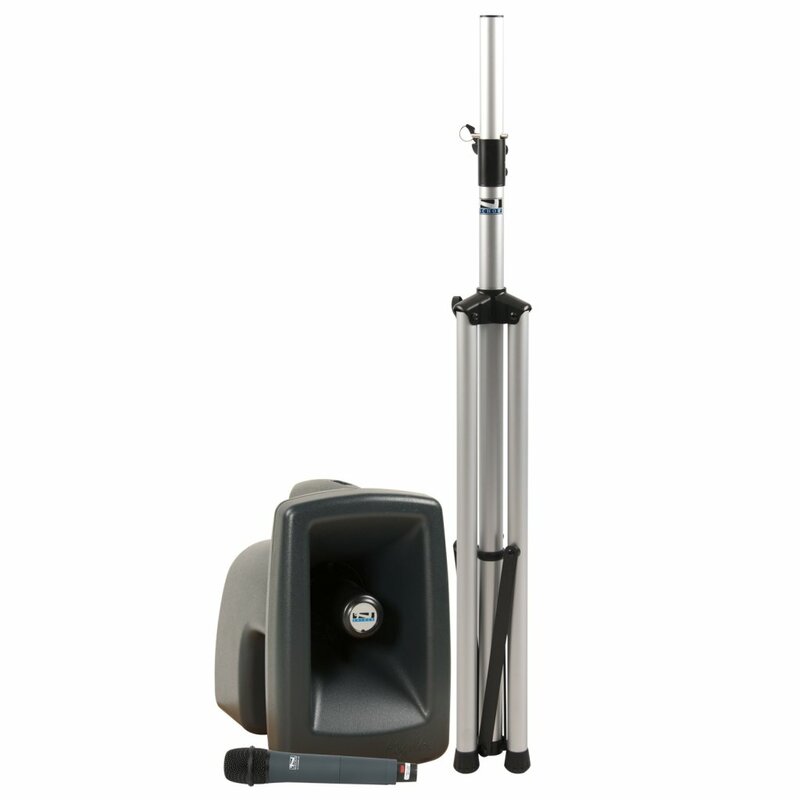 This PA system delivers 126 dB SPL of clear speech projection from a 22W amplifier. 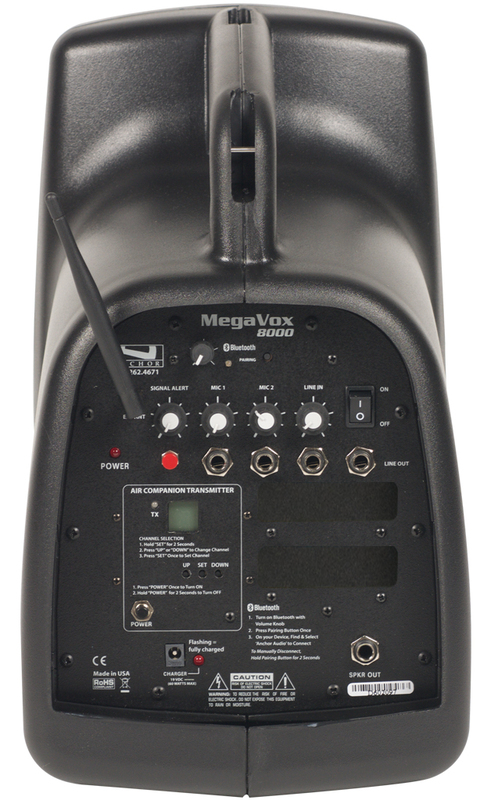 True AC/DC functionality with a 110/220 power supply make the MegaVox Pro truly universal – take it anywhere! 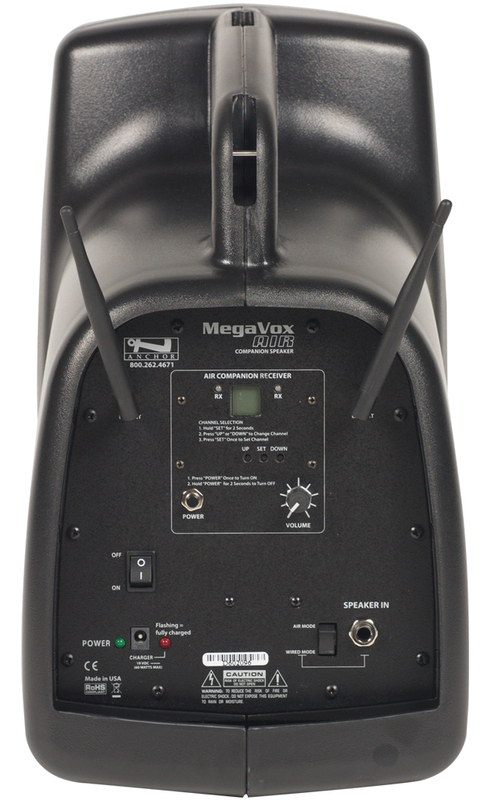 Weighing in at only 15 pounds, the MegaVox Pro has optional single or dual UHF receiver.